AND YE SHALL WALK IN SILK ATTIRE. 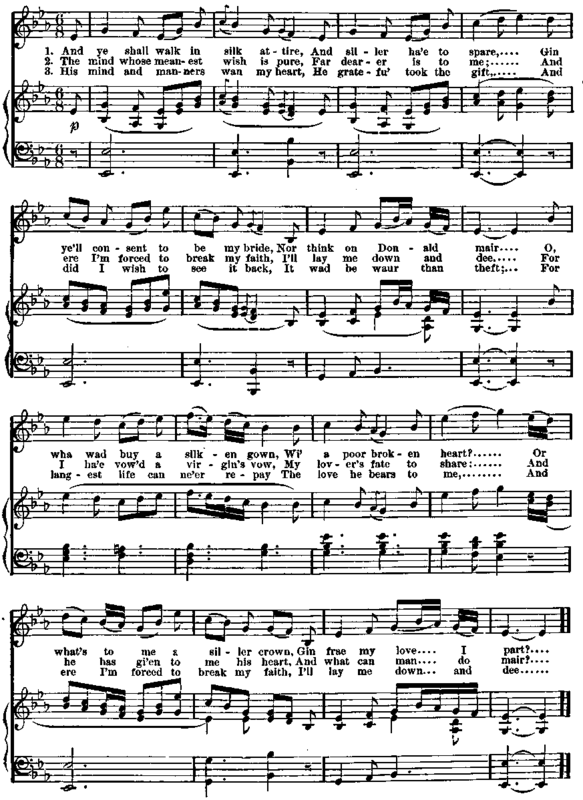 The words of this song are by Susanna Blamire, who wrote "What ails this Heart o' mine?" and they are set to the favorite Scottish air of " The Siller Crown."